The story notes that the website includes a cost estimator for growers and homeowners that was developed by Karen Jetter, economist with the UC Agricultural Issues Center. The estimator lists effective pesticides and calculates the costs of application. "It's a good way to figure out how you can help control Asian citrus psyllid," Grafton-Cardwell said. 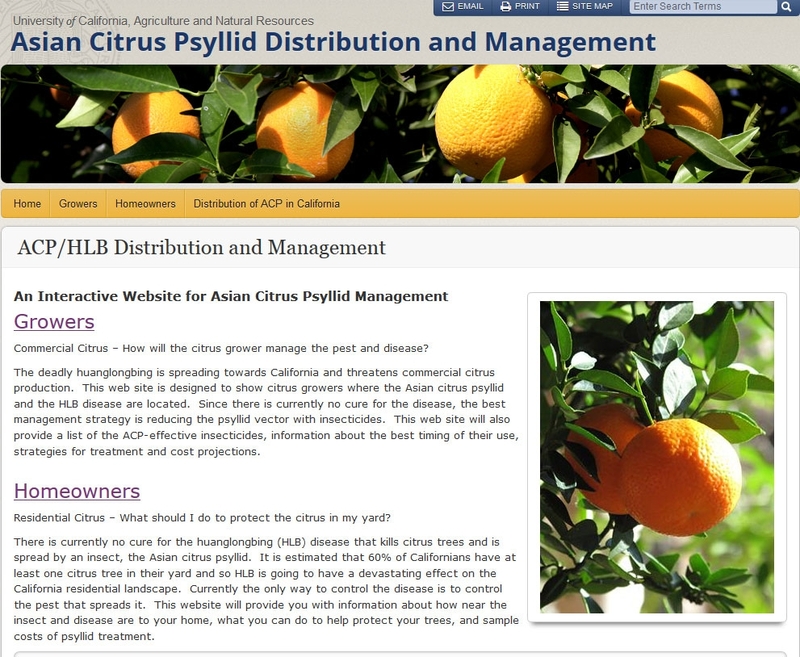 The new website is at http://ucanr.edu/sites/acp.